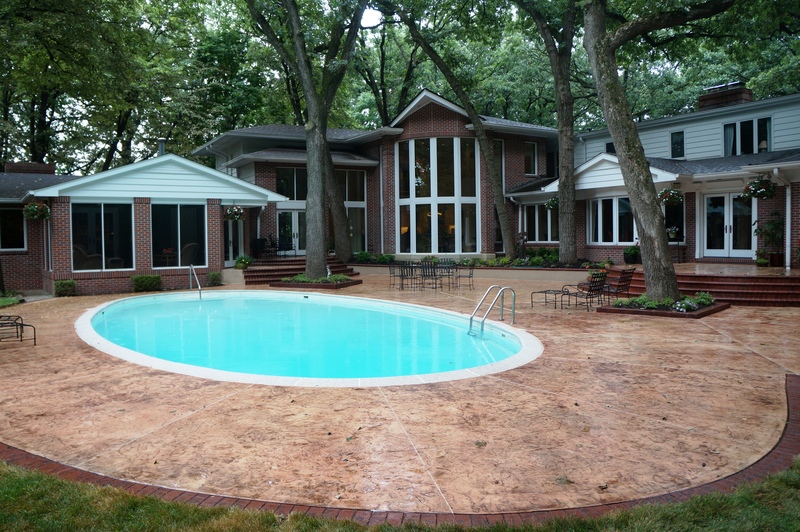 Bomanite Imprint Licensee, Stephens and Smith Construction worked with the homeowner to select the overall design, patterns and colors for their patio and pool deck renovation. 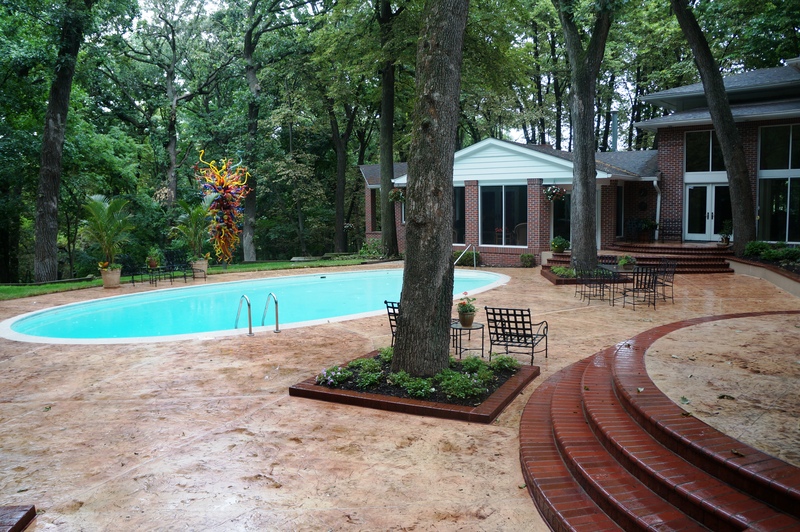 The homeowners existing concrete and stoops had a spray texture overlay and stenciled brick borders in a pinwheel design. 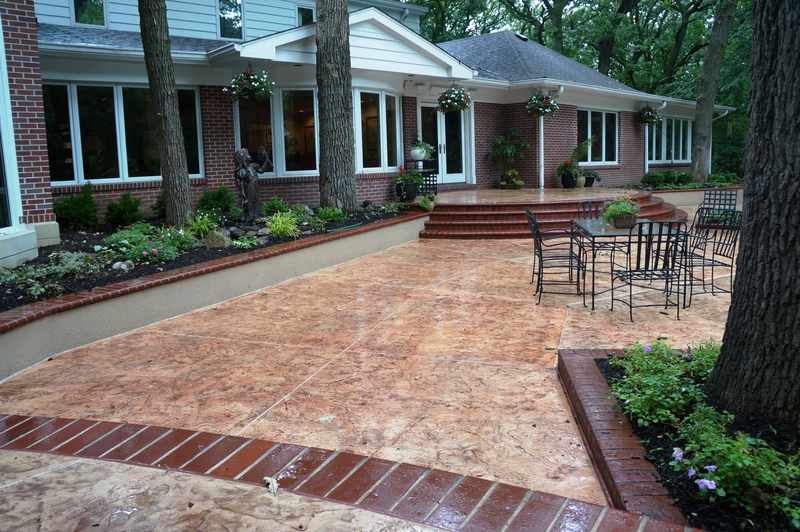 The owners had seen stamped concrete and were interested in changing their deck and giving it a fresh new look. Stephens and Smith demolished the existing deck and was able to dispose of all the rubble on site, saving the homeowner in disposal fees. The demo did take a few extra days due to the uneven real brick that was discovered under the overlay. 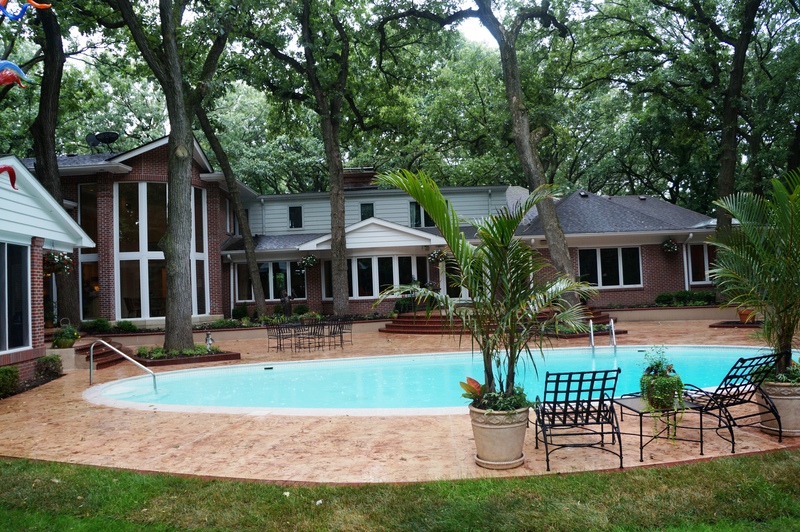 Once all was removed, Stephens and Smith was able to regrade and place the concrete in four pours that had to be transported 160’ to 200’ due to the length of the driveway and expansive 20 acre lot. The concrete was stamped with the Bomacron Slate Texture and Bomacron 8” Used Brick Border for an updated clean and inviting backyard space. 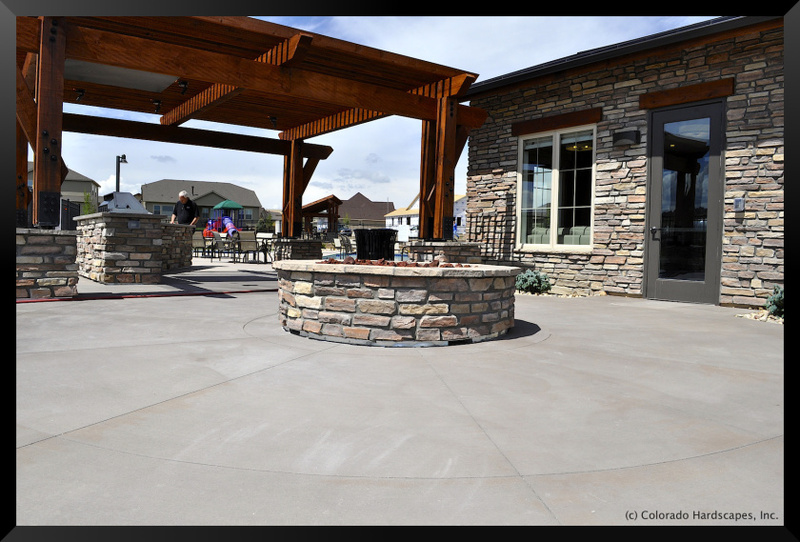 In time for the grand opening this Memorial Day weekend, Colorado Hardscapes completed the new paving, countertop, fire pit and polished concrete floors for the Heirloom Clubhouse. 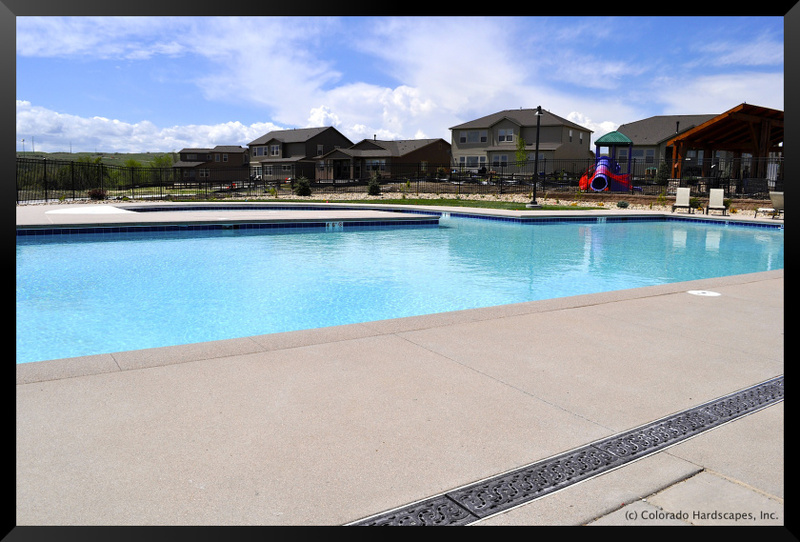 Heirloom is a new housing development by Standard Pacific Homes in Parker, Colorado. 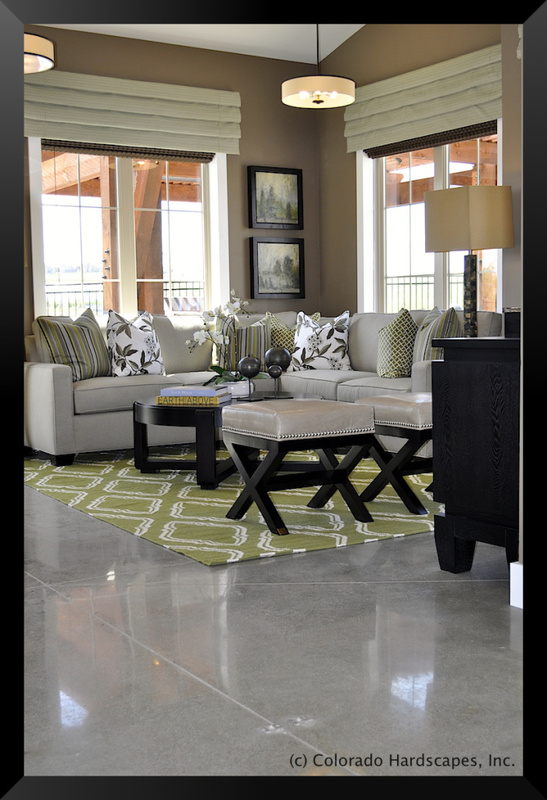 The clubhouse features Bomanite polished concrete floors inside with colored Sandscape and broom finish at the exterior. 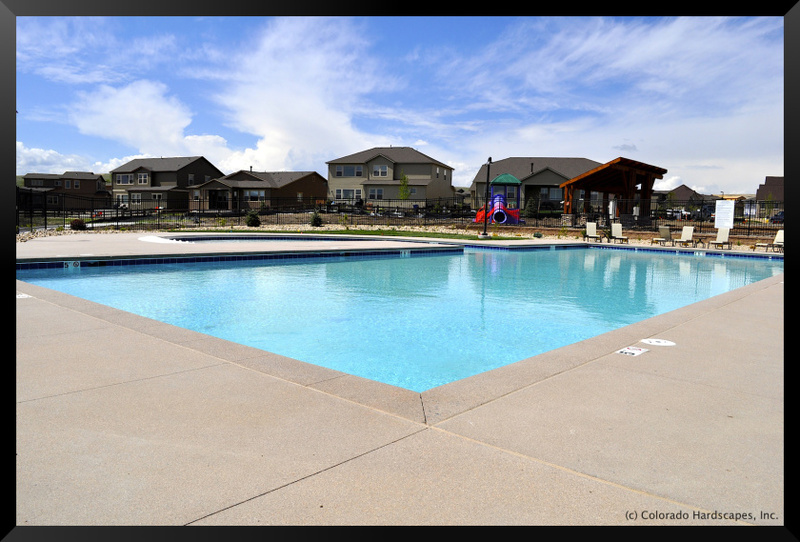 The fire pit, grill area and sun deck feature broom finish while the pool deck and coping have colored Sandscape due to its excellent slip resistant finish. Colorado Hardscapes’ crew also poured the countertop at the grill in the same color as the paving and gave it a polished finish. The new clubhouse will welcome residents this weekend.